Sri Lanka's Test captain Dimuth Karunaratne has been fined USD 7500 (LKR 1.3 million approx), by Sri Lanka Cricket, following his drink driving episode, which was a violation of his player contract. Karunaratne's fine is the equivalent of the match fee he would receive for one Test. "When you're preparing for an important competition like the World Cup, and we're spending so much money on this upcoming [Super Provincial] domestic tournament, we just cannot tolerate this kind of nonsense," SLC secretary Mohan de Silva told ESPNcricinfo. On Sunday morning Karunaratne was involved in an accident with a three-wheeler in Borella, a neighbourhood of Colombo, which put the three-wheeler's driver in hospital with minor injuries. 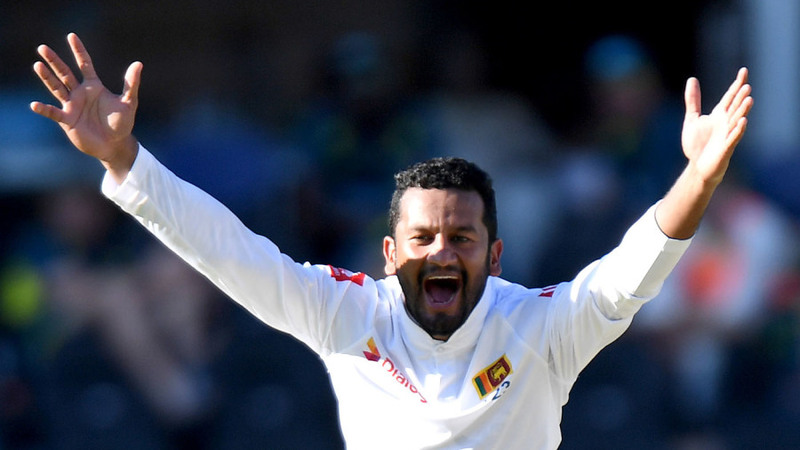 Following the incident Karunaratne was arrested and released on bail, and his driver's licence suspended. The three-wheeler's driver has since been discharged from the hospital. Karunaratne, who will be captaining Kandy in the upcoming Super Provincial Tournament starting on Thursday, offered an apology on his Facebook page. SLC however was keen to ensure such incidents are not repeated; the hefty fine, it felt, will send a "strong message" to the rest of the players.